Barkley just pleaded guilty to 2 counts of driving under the influence and pleaded "responsible" to running a stop sign for the December 31st incident in Scottsdale. Barkley was sentenced to 10 days in jail -- but will only do five if he completes an alcohol education program. Barkley was also fined $2,000. 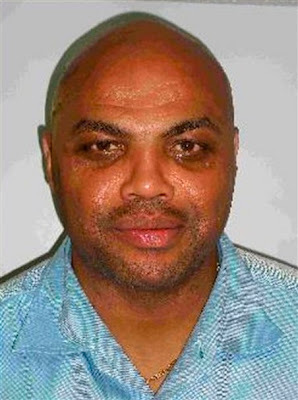 Forget the amount of time Barkley was sentenced with for a minute, is $2,000 a standard fine in Arizona for a DUI? That seems rather small if you ask me (not that it ultimately matters). As for the sentence, people have done worse and have received less to no time in jail, but driving drunk is a serious crime and I think Barkley understands that. "done worse and have received less to no time in jail"
You mean like Ray Lewis ? Sounds standard. In OR you get fined $1000 for first DUII, $2000 for second DUII (tops out at $3000 for every one after that I think). You also get 2 days in jail and have to go to treatment and you're on probation for a year+ etc etc. I just hope the help Charles gets for this sticks. The world doesn't need another Lary Sorensen, who blew a .48 after his seventh DUI.